Morse Express has commissioned its twelfth annual Christmas Key. 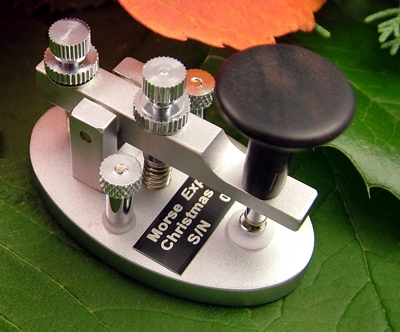 According to Marshall Emm (N1FN), “the Christmas keys have always been a labor of love for me, and my first priority has always been usability. GHD has brought considerable expertise to the manufacture of the Christmas keys, and the 2012 key is a little gem.” The 2012 Christmas Key measures 2" by 1-1/8" at the base and it weighs two and a half ounces. Each key has a label with “Christmas 2012” and a unique serial number in the limited edition of 150 keys. The 2012 Christmas key will add something special to straight key operations through the Holiday Season and on Straight Key Night. 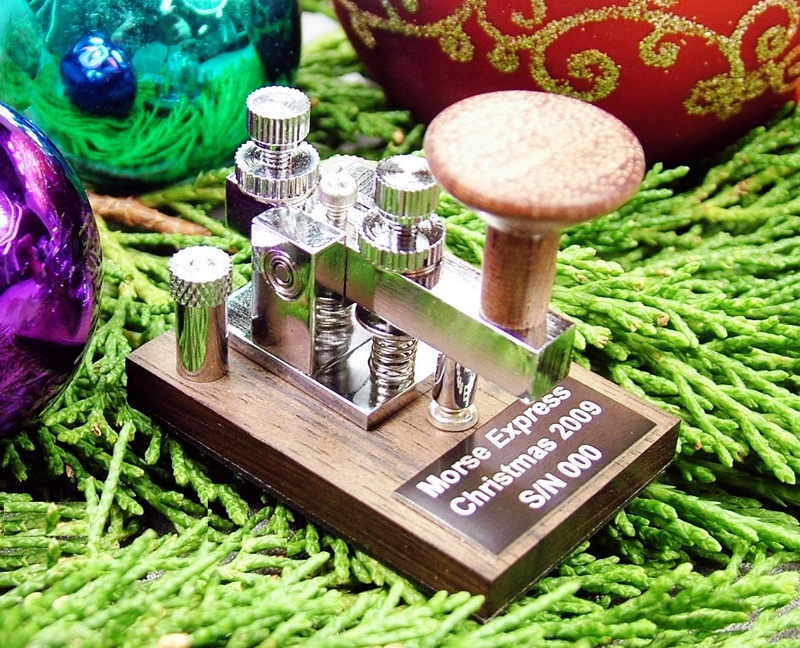 The Morse Express 2012 Christmas Key is $89.95 (plus s/h) and is available exclusively from Morse Express.